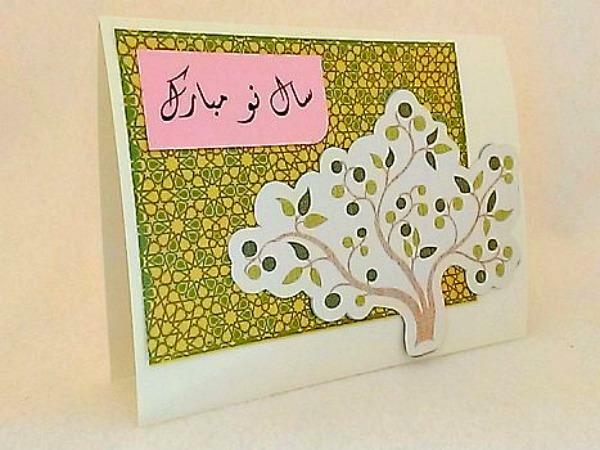 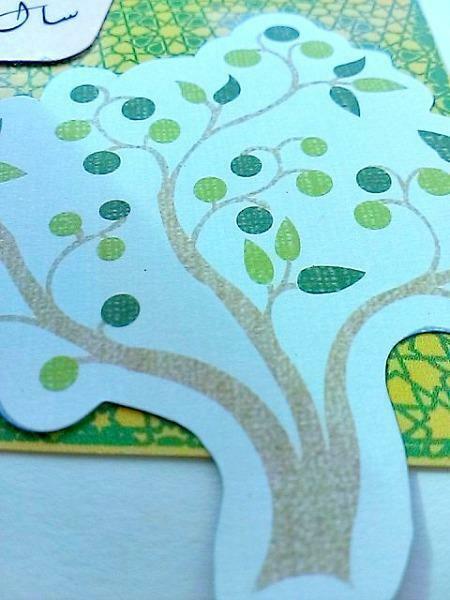 A vibrant fruit tree dominates this Persian New Year as it stands tall in front of a beautiful green and yellow geometric background. 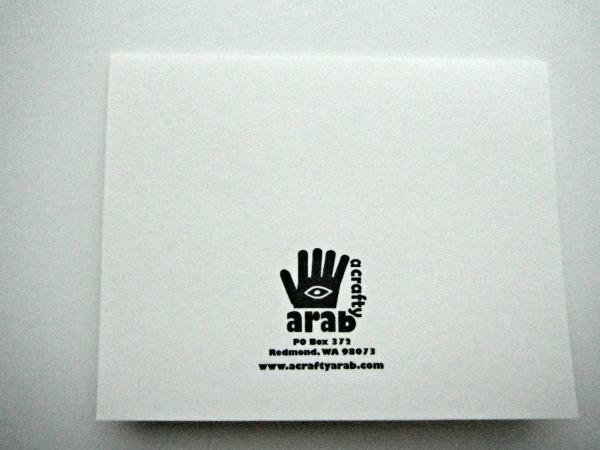 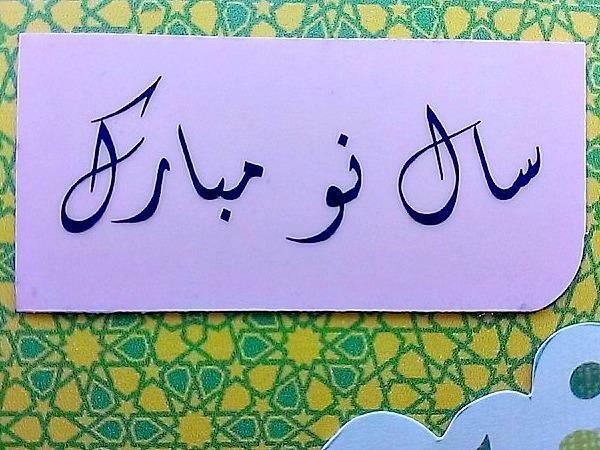 The words sale no mobārak were written on vellum and added to pink cardstock. 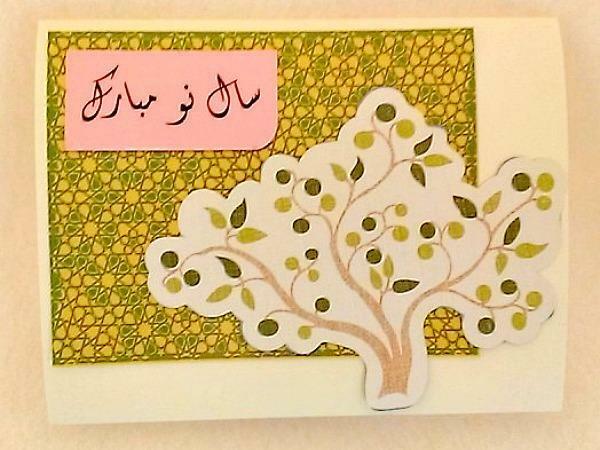 Nowruz, which will occur on March 20th, 2015, is Iranian New Years, an official holiday lasting for 13 days during which most national functions including schools are off and festivities take place.